With Valentine's Day fast approaching I thought I'd share a couple of books that we'll be reading focusing on the love shared between child and parent. Typically Valentine's Day is thought of as a romantic holiday, often times a commercialised holiday, but whatever your thoughts on the day itself reading a book appropriate to a given season or holiday is a great way of exposing your child to the sentiment of said period of time. I'm very much in the camp of people who thinks a day shouldn't be needed in order to show a loved one just how much you care for them, but we'll be exploring love through our bookish material all the same. We own many books in our collection that feature love, affection and so on, but our two favourites are I Love You, Too and Guess How Much I Love You. 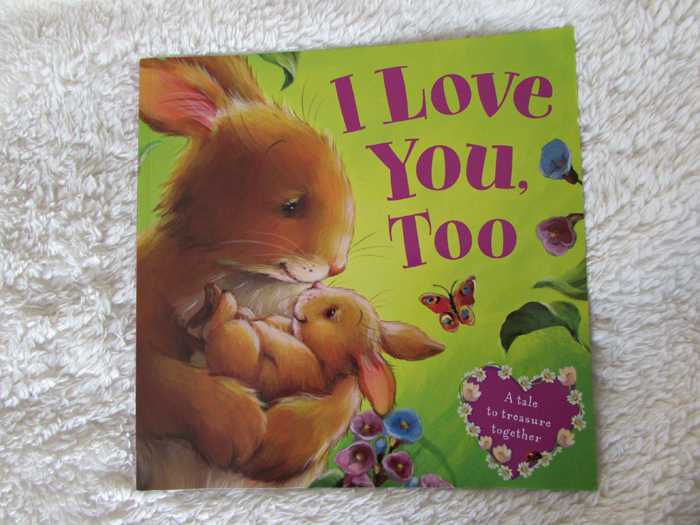 I Love You, Too shares the story of a mother and child bunny, with the mummy bunny telling the child bunny all the reasons why she loves her young child. The story itself is short but wonderfully told and full of all the tenderness a bond between parent and child holds. 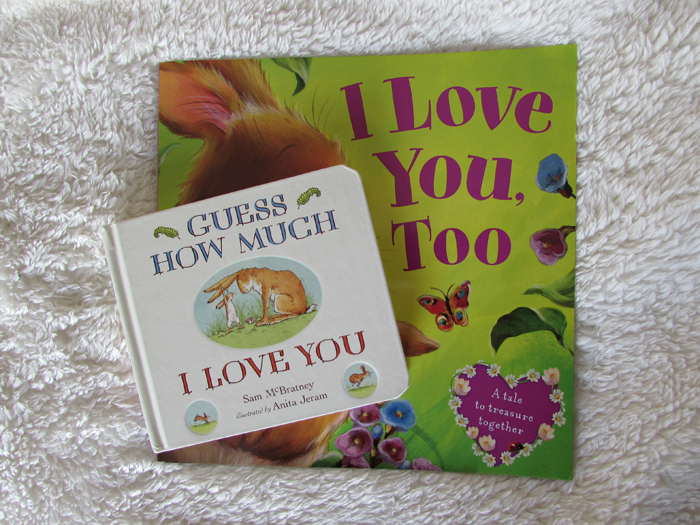 Guess How Much I Love You is a staple read in many children's book collection and the range now expands beyond the original book itself, introducing children to the seasons, colours and counting, all whilst spending time with a familiar child and parent duo. The duo at the heart of guess How Much I Love You is Little Nutbrown Hare and Big Nutbrown Hare, we follow them as they scamper around woodlands trying to express just how much they love each other. I think the success of Guess How Much I Love You lies in the fact that we want to share exactly how we feel about our loved ones, and yet love is very much on an immeasurable scale. What books relating to love do you read with your little one? 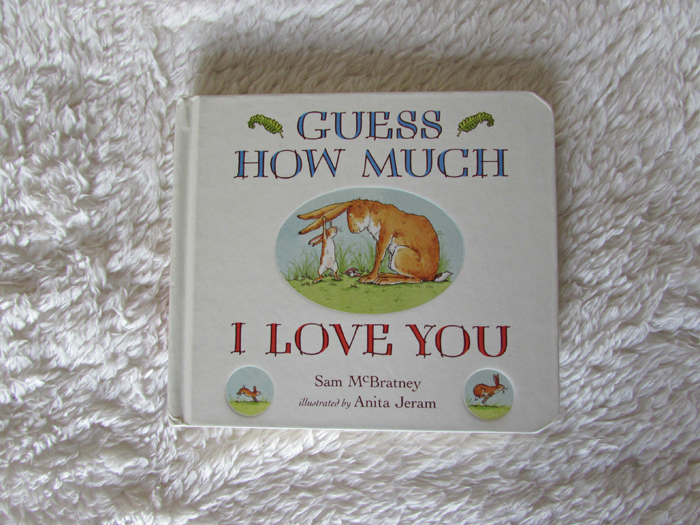 Guess How Much I Love You is one we have in our library at home. I'll have to look into finding the other one. Sunnie loves books and has quite a few Valentine's Day themed ones. Charlie Brown's Valentine book is probably her favorite. I haven't heard of Charlie Brown's Valentine book - I'll have to look in to that one, thanks Brandie! For the first year, we never really read seasonally (in all honesty, I didn't really think to) but now Alexander is getting older it makes sense to. I really enjoyed that post of yours and there are some great sounding books there! Oh this book is AMAZING. XD I love it! My niece and nephew read it all. the. time. and one of their favourite things to do is say "guess how much I love you?" and then measure it with their hands or something. :') IT'S ADORABLE. Oh my, that is adorable!! Children are just too cute.